In response to our recent request, Danielle Gerhart, Senior Account Executive/Public Relations for Eric Mower + Associates reached out to share the accolades that EMA has quietly been gathering throughout the first half of this year. Eric Mower, chairman and CEO of EMA, received the “Outstanding Lifetime Achievement in Sustainability, Corporate Volunteerism & Business Ethics award from City & State Reports magazine. One of the most important trends in business today, Corporate Social Responsibility (CSR) encompasses everything from philanthropy to environmentalism to the treatment of workers in the developing world. 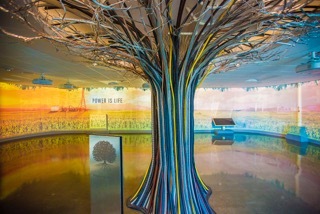 EMA created a multi-media experience at the Southwire Energy Center that brings the brand to life. EMA created a life-sized “oak tree” crafted entirely of Southwire wire and cable that serves as the centerpiece of the Energy Center. A custom-designed tone-on-tone wallpaper illustrates Southwire’s past, present and future through a series of photos and stories. A video highlighting Southwire’s capabilities spans the entire 60-foot back wall and two side walls of the lobby, and an “Observatory”—a glass observation deck—overlooks the factory. EMA helped BlueCross BlueShield of Western New York create the community-wide,multi-media awareness campaign Painkillers Kill. 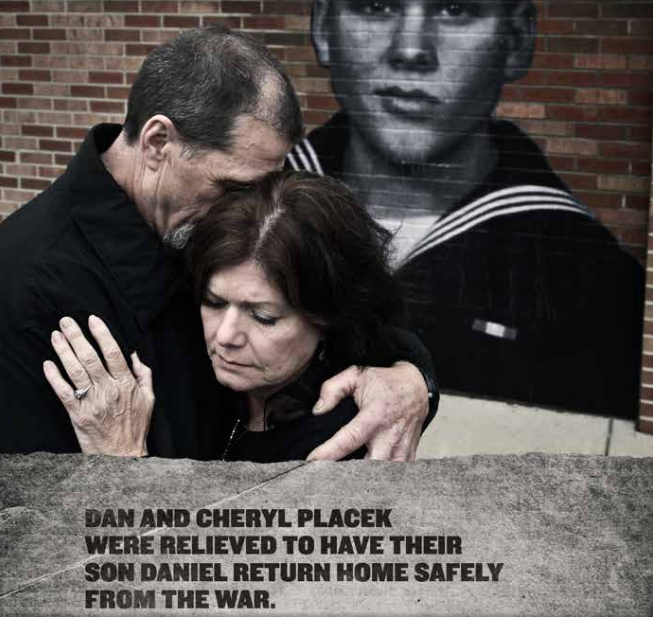 The campaign was developed after BlueCross BlueShield of Western New York members shared the story of their son who died as a result of an addiction to opiates, which were prescribed to help manage symptoms of Crohn’s disease. The insurer launched an initiative to educate the public and engaged EMA to develop a multi-media and social campaign in the Western New York region. The campaign has been so successful that it is being shared with the 37 other BlueCross BlueShield plans, which insure one in three Americans. 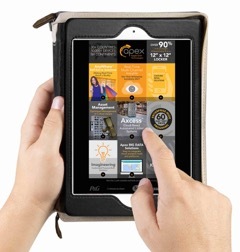 EMA helped Domtar launch the digital/mobile integrated Project Learning Curve to increase focus on handwriting and the research that shows how much it benefits students. EMA created the world’s first handwriting tracker—an app that allows teachers to measure students’ handwriting progress by putting a digital pen to paper. Project Learning Curve encourages students to spend more time handwriting, to engage both students and parents, and helps teachers monitor the progress being made at home. Designed to generate advertising sales opportunities, the dimensional postal mailer that EMA created was targeted to senior marketing professionals at large manufacturers. 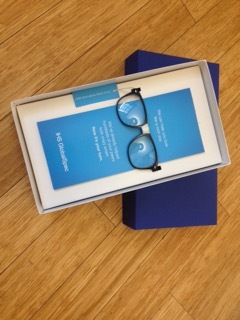 The mailer included an appealing high-end, branded box containing a pair of “nerd glasses” with an offer for a free pair of hip Warby Parker glasses in exchange for an introductory meeting with Engineering360. The program generated an impressive 9% response rate – far above industry benchmarks – resulting in hundreds of leads and a sales pipeline in excess of $3 million. 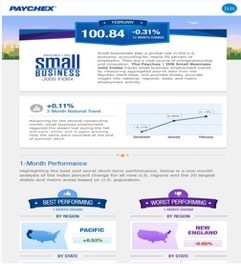 The Paychex IHS Small Business Jobs Index positions Paychex as the authoritative source for information on U.S. employment, has generated an average of 70 media hits per month, including coverage in The New York Times, The Washington Post, Forbes, Inc.,Foxbusiness.com, The Huffington Post, The Dallas Morning News, The Seattle Post Intelligencer,The Detroit News and The San Francisco Chronicle. The success of the index has helped Paychex solidify its position as an authoritative voice on employment data and the small business market. EMA’s work with Apex Supply Chain Technologies was named a runner-up in the Digital Sales Enablement category. Honored for creating a suite of digital marketing resources including interactive, touch-screen sales technologies, responsive web presentations, and storytelling tools, the program allows Apex to create digital sales presentation experiences that are impactful, entertaining, and easy to use. BlueCross BlueShield of Western New York worked with the EMA to create a multimedia campaign that showcased the benefits of choosing Blue over other health plans in the exchange marketplace. The campaign incorporated advertising, community relations, public relations and digital media. This included BlueCross BlueShield of Western New York’s innovative journey website, where consumers could easily compare plans, calculate premiums and subsidies, and make purchases. Also included were promotions for BlueCross BlueShield of Western New York’s unique Two For One discount program, featuring $1,000 in savings throughout the community, as well as segmented TV, print, and radio ads featuring real BlueCross BlueShield of Western New York associates and members. Join us in congratulating this hard working agency on their wins! Previous story Member News: Here’s Your Invitation to Brag!